Did The Police Serve Warrant To Justice Karnan? The media is abuzz with the news of a fleet of 100 Policemen, along with the West Bengal Director General of Police Surajit Kar Purakayastha, visiting Justice Karnan’s residence to serve him with the bailable warrant issued against him by the Supreme Court. The DGP, along with Kolkata Police Commissioner Rajeev Kumar and DIG (CID) Rajesh Kumar, visited the Judge’s residence in New Town area. However, conflicting opinions have been quoted on whether the warrant was actually served on the Judge. Initially, Justice Karnan’s lawyer Mr. W. Peter Ramesh claimed that he “refused” to accept the warrant, saying, “The DGP of West Bengal Police, ADGP of Intelligence-Criminal Investigation Department (CID) and an Superintendent of Police [SP] from Tamil Nadu along with more than 20 police personnel came to Justice Karnan's residence today (Friday) to hand him over the warrant. But he refused to accept it.” Similar reports have been published by several other leading publications. Additional Director General of CID Rajesh Kumar, however, told The Hindu that Justice Karnan has “accepted” the warrant. “He gave his observation on the bailable warrant and accepted it,” Mr. Kumar said. Initiating contempt proceedings, the Court had taken into account the letters circulated by the Judge earlier this year, making serious allegations against Supreme Court and High Court Judges. In one of the letters addressed to the PM Modi, he had alleged that some illegal money had been recovered from some High Court Judges after demonetization. He had also alleged corruption against twenty High Court Judges. 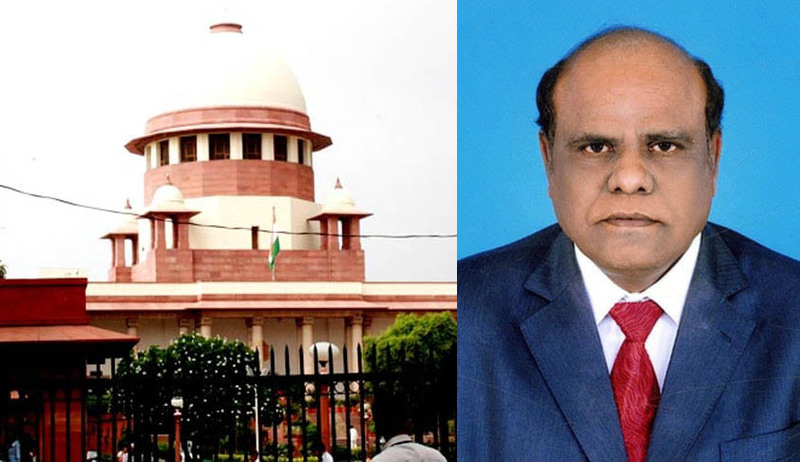 Justice Karnan has, however, remained defiant, and had said that he would not attend the contempt proceedings on 31st March. He had also demanded a compensation of Rs. 14 crore from the seven Judge Bench, for “disturbing his mind and normal life.” He had also threatened the Judges to withdraw their judicial and administrative work in case they failed to pay the compensation money in a week.